What do I love more than a simple pattern? CHEAP FABRIC. This dress is both of those and I’m happy to be sharing it with y’all today! This is the wearable muslin of my vow renewal dress that I made for my Oregon trip. 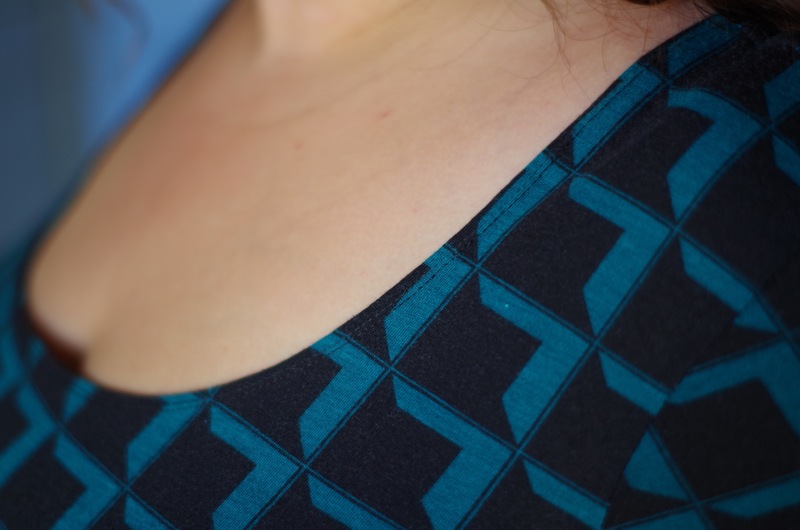 I used Gertie’s Sweetheart Knit top for the bodice and a pattern I traced from a RTW Forever 21 skirt to complete it. I can say that I didn’t have fitting issues with this pattern or material, which is so rare! Half circle skirts are my new favorite, mostly because they don’t fly over my head like full circle skirts do. BTW this dress cost $3 to make:). I love how nice my necklines have been lately!!! I was wearing my pineapple dress at Hancock Fabrics and the cashier complemented me, saying my dress was pretty but that the neckline was very well done. It was a really nice compliment. So I know I’ve been quiet during July but it was for a good reason…I got a promotion! And I no longer work nights! I finally have a normal schedule and it’s been great. I’m finally getting back to sewing more often so stay tuned for some new posts!